It's Thursday already, this week is flying by. I have the great joy of looking after my little granddaughter this morning and I can't wait for her to arrive. Right oh onto today's card. 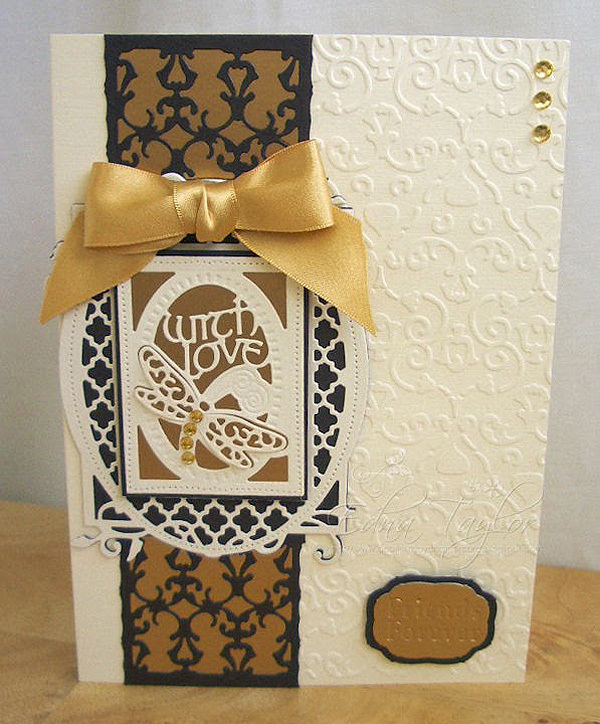 I've used the gorgeous Delicate Drape embossing folder and die set for this card. I've simply embossed the open edge of the card and applied the strap die cut with brown card stock and backed with gold to the side. 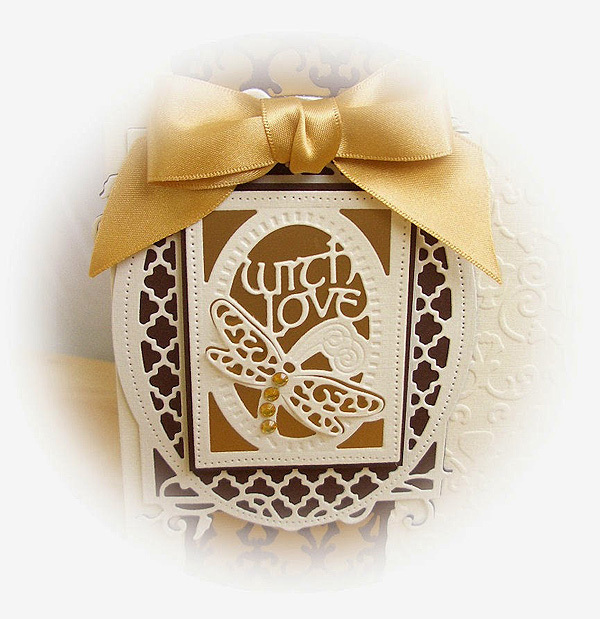 I have also used the Keepsake Dragonfly Delight die as my focal image. I think these sets are so beautiful that they don't need a lot more embellishing. They are a wonderful addition to any collection but also ideal for a beginner to die cutting.